‘Always was, always will be Aboriginal Land’. A mark in history over the long weekend as tens of thousands across the nation marched in rallies in solidarity with our Aboriginal and Torres Strait Islander brothers and sisters, calling for changes to the way our nation marks Australia Day. These rallies and media coverage clearly demonstrate a surge in awareness in the broader community about the true history of this country, the pain the day causes the Aboriginal and Torres Strait Islander community and the need for greater change in the way historical injustices are addressed (unfinished business). 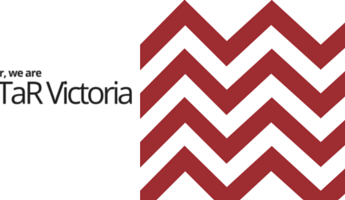 Reconciliation Victoria will continue to support a continuing national conversation about shifting our national day from January 26. Though we have a long way to go, it is encouraging to witness over this weekend that more non-Aboriginal people are promoting understanding, respect and reconciliation by listening to Aboriginal voices and supporting Aboriginal-led events across Victoria. Reconciliation Victoria acknowledges another powerful moment of healing in our nation’s history that will never be forgotten, February 13, marking the 11th Anniversary of the National Apology to the Stolen Generations. On this Day in 2008, Prime Minister Rudd issued a formal Apology to Aboriginal and Torres Strait Islander people who were forcibly removed from their families and communities as children, a result of cruel Australian government policies. Eleven years on and still the number of Indigenous children being taken away from their families remains extremely high. There is much justice and healing yet to be done. To commemorate this historic Apology, events will take place around Victoria. For further information read below and follow us on Facebook. The HART Awards recognise Victorian initiatives that contribute to local reconciliation outcomes. If your council or community organisation (big or small) is doing great things in the reconciliation space, make sure you nominate – or if you know of an organisation doing great work – and encourage them to consider nominating. This year’s metropolitan Statewide Reconciliation Forum will be on Saturday 6 April, at the Mullum Mullum Indigenous Gathering Place, Ringwood East. All welcome. Over 250 Indigenous Australian language groups covered the continent at the time of European settlement in 1788. Today only around 120 of those languages are still spoken and many are at risk of being lost as Elders pass away. Indigenous languages matter for social, economic and political development, peaceful coexistence and reconciliation in our societies. The United Nations has declared 2019 the Year of Indigenous Languages in order to encourage urgent action to preserve, revitalise and promote them. This year is an opportunity for Australians to take action and improve the preservation, promotion and learning of First Nations languages across Australia. As a nation we can work towards an Australia where First Languages are respected nationally, and spoken by community members across our country. Commonground has developed a number of resources that you can use to become more familiar with the stories of Languages, and the never-ending fight to preserve and protect First Languages. Embracing and better understanding language is one way we can help maintain First Languages and support First Nations people. Above: Bill Harney, the last fully initiated Wardaman Elder, and one of the last speakers of the Wardaman language. To celebrate the year of Indigenous Languages, Deadly Story is releasing a series of deadly resources! Go to the Deadly Story website and subscribe to their newsletter to get the latest updates. Ashes turn to ashes, and dust turns to dust. But few of us would see the remains of a person as simple specks of carbon. The vestiges of an earthly body hold a deep symbolic power. So imagine knowing your ancestors had been dug up, taken from their country, and were being kept in boxes on museum shelves? For many Dja Dja Wurrung people that’s the case. Many early European settlers dug up grave goods and human remains under the guise of scientific curiosity. Pictured: Dja Dja Wurrung Clans Aboriginal Corporation chief executive Rodney Carter. During the 1800s a beast unknown to science haunted the waterways of southern Australia. Like the saltwater crocodile of the north, the creature was said to ambush and devour its victims. A few years before he became the first lieutenant-governor of Victoria in 1851, Charles La Trobe wrote of being “long convinced” of the bunyip’s existence, and lamented he didn’t have to time to hunt for proof. None ever emerged. That is, nothing credible. The beast, it seemed, was apocryphal. But now the bunyip (four in fact) has been found – or ancient rock drawings of it at least – in a shallow cave atop a cliff in Gariwerd’s Mt Difficult Range. Above: Jake Goodes is now part of efforts to document a new wave of rediscovered rock art at Gariwerd (The Grampians). Left: Park rangers and archaeologists are using new technology to reveal traces of ochre which may be tens of thousands of years old. The Indigenous voice of this country is over 65,000 plus years old. They are the first words spoken on this continent. Languages that passed down lore, culture and knowledge for over millennia. They are precious to our nation. And with 2019 being celebrated as the UN’s International Year of Indigenous Language, it’s time for our knowledge to be heard through our voice. NAIDOC Week Grants now open! The Department of the Prime Minister and Cabinet invites schools, community groups, organisations and other eligible applicants to apply for a contribution to your 2019 NAIDOC event. The NAIDOC Grant Funding round aims to support activities being held during NAIDOC Week 2019 that celebrate Aboriginal and Torres Strait Islander histories, cultures, achievements and continuing contributions to our country and society. Check out the NAIDOC website where you can subscribe to the NAIDOC mailing list, for all the latest news. Last year, 165 Indigenous Australians died as a result of suicide. Despite continued efforts to improve suicide prevention programs, there has been no no appreciable reduction in the suicide rate in ten years. While suicide is the 14th leading cause of death for non-Indigenous Australians, it is ranked 5th for Aboriginal and Torres Strait Islander people. This statement should not be a surprise, but it is all too easily forgotten. A diagnosis of mental illness is only one of a number of risk factors for suicide. Share Our Pride website gives you a glimpse of how life looks from an Aboriginal and Torres Strait Islander perspective. On the first weekend of February we will be holding celebrations for the 80th Anniversary of The Cummeragunja Walk Off. This event will be taking place on the Cummeragunja Reserve. The most significant day of the celebrations will be on Monday which is the Anniversary date of the Walk Off. Program includes workshops, speakers, an exhibition and music by Debra Cheetham, Benny Walker, Stiff Gins, Shane Howard and more. A music-filled celebration of Indigenous culture. Includes Mojo Juju, The Merindas, Squid Nebula, Kalyani Mumtaz, Brett Lee, Robert Champion, Kee’ahn and much much more. Features the inaugural Yaluk-ut Weelam Ngargee Summer Concert to take place at St Kilda’s Memo Music Hall on the Friday night, remembering an important figure in the clan’s history, Louisa Briggs. Events at St Kilda’s Memo Music Hall and O’Donnell Gardens. Yarra City Council is pleased to announce Fairfield in Feb is back at the iconic Fairfield Amphitheatre! Welcome To Country by the Wurundjeri Council and Djirri Djirri dancers followed by music from The Merindas, Bumpy, Aaron B. Join a workshop and skillsharing event for First Nations critical writers (published and unpublished, emerging and established) facilitated by MPavilion’s Writer in Residence, Maddee Clark. This is the first of what will become a series of writing skillshares run by the Koorie Heritage Trust for Blak writers. The skillshare will create a space for an open discussion of critical non-fiction, including essay writing, commentary, political writing, personal writing, op-eds, analysis, and arts and culture writing. Join the conversation or simply turn up to hear new vital ideas. Bruce reveals the hidden histories of how Aboriginal people across Australia used domesticated plants and engaged in complex harvesting and irrigating. He explores how this can be applied today. Bruce will be joined by Peter Andrews in this Festival forum. 10 – 11.30amYou are invited to a morning tea organised by Link-Up Victoria in partnership with Connecting Home and the City of Darebin to commemorate the eleventh anniversary of the National Apology to the Stolen Generations by the Australian Government. Everyone is welcome to join this important commemoration of what was a historical day for all of Australia. Malthouse Theatre presents a twilight Summer Series of events featuring activists, spoken word artists, musical disrupters, dance and drum movement shakers, that honour the untold stories and unsung heroes of the Civil Rights Movement. For over one month The Coopers Malthouse courtyard will transform into a hub of engaged discussions, powerful poetry, energetic movements, and politically and socially charged music. Program includes Uncle Jack Charles, Jason Tamiru, Gary Foley, Kim Kruger, and more. Directed by Bangarra’s Artistic Director Stephen Page, Bennelong serves as an archetype of first contact and a timeless voice in the ongoing debate of the impacts of colonisation. After a triumphant national tour in 2017, a return sellout season at Adelaide Festival and six Helpmann Award wins, Bangarra takes Bennelong to regional Australia. The afternoon will begin with entertainment, activities and workshops focusing on sustainability and the environment. 8.30 – 10.30pm The Song Keepers. This Australian movie tells the inspiring story of an Aboriginal Women’s Choir who travel to Germany to perform German hymns in their traditional language. This is a free entry event for all ages as part of the National Sustainable Living Festival 2019. Spend a night with national treasure, award-winning actor, Aboriginal elder and activist Uncle Jack Charles, annotating his colourful life and brilliant career in words and music. Hosted by respected broadcaster Namila Benson plus special guests. Uncle Jack Charles is an actor, musician, potter and gifted performer, but in his 75 years he has also been homeless, a heroin addict, a thief and a regular in Victoria’s prisons. Embark on an exploratory walk through important areas of the Gardens as your guide discusses the local First Peoples’ connection to plants and their traditional uses for food, medicine, tools and ceremonies. This 90-minute guided tour operates six days a week – not on Saturdays – departing at 11am and concludes at 12.30pm. A fun 45-minute group workout with a cultural twist! Every Thursday, starting 7 February. Totally Trad is the perfect place to kick start your new routine for 2019. Totally Trad sessions are based on some favourite Traditional Aboriginal Games. So come and get active while celebrating Aboriginal Culture and History. Registration is not required for any of the free sessions. Balnarring Beach, Robertsons Park and camping reserve.A Family Festival with great activities for the whole family. • Food and market stalls. 31 January 1938: William Cooper leads first deputation to a Prime Minister seeking rights for Aboriginal people. 3 February 1939: 200-300 Aboriginal families walk off Cummeragunja Mission, protesting their lack of rights. 13 February 2008: National Apology to the Stolen Generations. 18 February 2019: Nominations open for the 2019 HART Awards. 6 April 2019: Statewide Reconciliation Forum, Mullum Mullum Gathering Place, Ringwood East. Now in its sixth year, the Koorie Heritage Trust’s annual Koorie Art Show showcases the diverse talent of Victoria’s Aboriginal and Torres Strait Islander artists in one inclusive space. In our biggest year yet, we are exhibiting over 190 works from over 100 artists. Exhibition runs until Sunday 24 February. Yaluk-ut Weelam Ngargee Festival.This exhibition is curated with the intention of drawing attention to the importance of Indigenous languages and the critical loss of these languages in Australia and globally. The Torch is recognising 10 years of exhibiting artworks by Indigenous artists currently in or recently released from prisons in Victoria. Confined is the key annual event of The Torch’s Indigenous Arts in Prisons and Community program and a central event of the Yalukut Weelam Ngargee, Melbourne’s longest running Indigenous arts and cultural festival. Now in its 10th year, the Confined exhibition provides Indigenous offenders and ex-offenders with an opportunity to connect with the community and to promote the practice of culture in rehabilitation. It also serves to highlight the issue of over-representation of Indigenous people in the criminal justice system. Mon, Tues, Wed, Fri 8.30am – 5pm. Thur 8.30am – 7pm. Saturday 12 noon – 4pm. Black Mist Burnt Country is an exhibition project developed by Burrinja Cultural Centre which commemorates the British atomic test series in Australia through artworks by Indigenous and non-Indigenous contemporary artists across the mediums of painting, print-making, sculpture, installation, photography and new media. Since its launch in Sydney in September 2016 to mark the 60th anniversary of the first British atomic test at Maralinga, the exhibition has toured nine public galleries and museums in four states and territories, most recently at National Museum in Canberra. The exhibition will be on display at Burrinja and will be accompanied by a public program including tours, film screenings and a writers panel talk. Exhibition runs until Sunday 10 February. Toongkateeyt (Tomorrow) by Hayley Millar-Baker – presented by The City of Yarra – sees the mashing of Countries through inter-generational experiences to create imagined landscapes. Gunditjmara artist Hayley Millar-Baker is influenced by her Koorie bloodlines. Image: Even if the race is fated to disappear 3 (Peeneeyt Meerreng/ Before, Now, Tomorrow)’ 2017 (detail), Inkjet on cotton rag, 150 x 80 cm. Courtesy the artist and Vivien Anderson Gallery, Melbourne. is proud to present the first of its celebrations for this year’s 2019 International Year of Indigenous Languages. A family exhibition that ‘speaks’ our ‘Mother Tongue’. Through this we will learn, retain and create future use of our language. The two families who are sharing their stories, the Bundle Mob of the Yuin and the Gunditjmara Couzens, are connected through kinship and blood. Walking in the footsteps of their Ancestors, continuing creative cultural expression across both contemporary and traditional media. Join us in celebrating the opening of Goompi Ugerabah’s first ever Melbourne solo show at Studio Gallery Melbourne on Friday 8 February. Light refreshments from 6.30pm. Bundjalung Kunjiel Dance Troupe will perform at 7.30pm. With a photography career spanning decades, Jim Berg, a Gunditjmara Elder, turns his focus to Scar trees. These trees are a window to the past, bearing witness to the way of life and freedom for Victoria’s First Peoples. Scar trees are a reminder of the past and are a link to all trees. Melbourne Museum, Carlton Gardens, 11 Nicholson Street, Melbourne. Yarning Circle will be held on the first Tuesday of the month from February to November 2019. This event will be held on Zoom. It is preferable that participants have a webcam. New classroom resources have been announced to revitalise the Australian curriculum and to help teachers include Aboriginal and Torres Strait Islander knowledge systems in the classroom. The recently released resources are designed for Years 5 and 8, and will expose them to topics such as natural indicators of time, measuring spatial distances with their hands and lunar and solar eclipses. encourages teachers and educators to reflect on the importance of education to reconciliation in relation to your own education experiences. Genuinely engaging in reconciliation involves personal and professional learning and reflection.This may become a journey of ‘unlearning‘ and ’relearning‘ – of challenging assumptions and recognising that what has been taught about Aboriginal and Torres Strait Islander peoples, histories and cultures in schools may have been inaccurate or incomplete. What Is Australia for? asks the big questions to encourage a robust national discussion about a new Australian identity that reflects our national, regional and global roles. In a powerful memoir, Frank Moorhouse confronts his own mortality when a routine trek through the bush at the back of Bourke takes a wrong turn; Cameron Muir argues for an urgent marriage between health and agriculture; David Hansen investigates the token Aboriginality of a Melbourne residential tower; and Nick Bryant takes the temperature of our cultural cringe. Dennis Altman asks if Australians have lost the will to create a better society; Robyn Archer contends that sustainability and resilience must be at the heart of our national debate; Kim Mahood offers a lacerating account of white workers in remote Aboriginal communities; David Astle and Romy Ash deliver two outstanding pieces of short fiction. Other contributors include: Peter Mares, Leah Kaminsky, Jim Davidson, Frances Guo, Bruce Pascoe, Maria Papas, Pat Hoffie, Charlie Ward, Michael Wesley and more. US-based writer, researcher and educator Robin DiAngelo has considered these questions deeply. Her first two books, Is Everyone Really Equal? and What Does it Mean to Be White? examined notions of equality and white racial literacy. Her third book, White Fragility, is a New York Times-bestseller. At the Wheeler Centre, DiAngelo presents a talk on these topics. She is then joined by a panel, including Jack Latimore, Odette Kelada and Tim Lo Surdo, for a discussion and Q&A. The second phase of the Deadly Questions campaign, launched last September, puts a focus on the important role of Treaty in Victoria and what Treaty could mean for both Aboriginal and non-Aboriginal Victorians. Explore and ask your Deadly Question today here and join the broader conversation with Aboriginal Victorians. The Maggolee website, developed by Reconciliation Victoria, includes information on policy and programs, protocols and cultural awareness, Traditional Owner groups and local Aboriginal organisations, Aboriginal languages, key local contacts, news and events. The Koorie Heritage Trust’s Birrarung Wilam Walk takes you through Federation Square and down to the Birrarung Wilam (Common Ground) Aboriginal art installations, experiencing the Aboriginal history of the Birrarung Marr (beside the river of mists) and Aboriginal Peoples of the Kulin Nation.